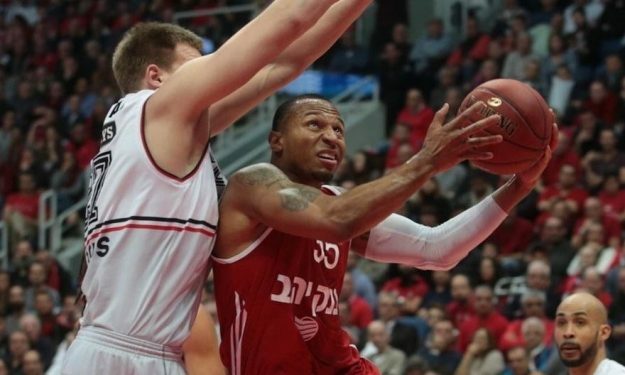 Curtis Jerrells will no longer be a Hapoel Jerusalem player, as the Israel champions decided to release him, due to his conflict with coach Fotis Katsikaris. The American guard, who has been the most dominant player in the team since his arrival, was cut off from the squad, apparently because of his tense relationship with coach Katsikaris. In recent days, it has been reported that Jerrells believed that Katsikaris and his methods are not suitable for the team. The relationship between the two men continued to deteriorate, eventually reached a dead end and the player decided to terminate his contract with the team. “We thank the player for his contribution and wish him success in the future,” the club said. It was only at the beginning of the year when Hapoel Jerusalem announced a new two-year contract with the American guard, until the summer of 2019. This season, Jerrells averaged 12,9 points, 3,3 assists and 2,7 rebounds.